Strawberry Kiwi SaltBae50 E-Liquid 30mL is a fruit flavor mashup that has certainly been done before but never quite like this. SaltBae50 perfectly captures the true fruit flavors in this liquid using premium USP/Kosher grade ingredients of the freshest quality. In each puff you have a blast of sweet strawberry and exotic tart kiwi's, bursting with so much flavor you'll be hooked after your first taste. 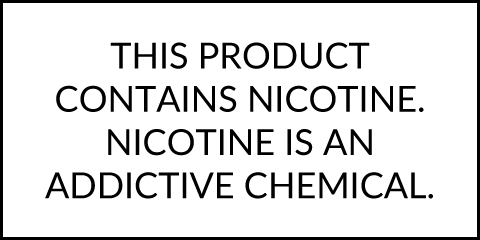 Each bottle is manufactured with a 70% VG to 30% PG blend and with a salt base nicotine that together makes this liquid perfect for use in low output pod style vaporizers. Grab yourself a bottle of Strawberry Kiwi today, available in 30mL child-resistant sizes with your choice of strength including 25mg and 50mg.